It’s summer, which means Miami is ready to party. And with events like yacht parties, pub crawls, and fruit festivals, there really is much to celebrate this weekend. Check out these ten incredibly fun and interesting things to do from Friday, July 13th to Sunday, July 15th. 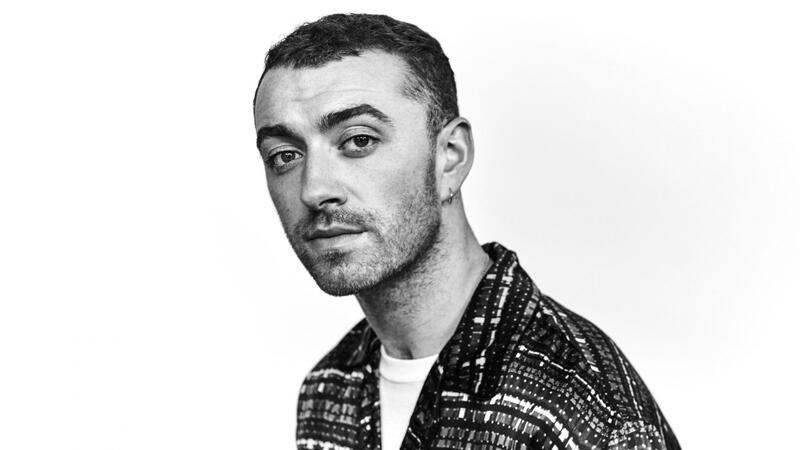 If you like the soothing and rhythmic sounds of singer and songwriter Sam Smith, you’re in for a treat. The man himself will be performing at the American Airlines Theater this Saturday, July 14th from 8pm-12pm in celebration of his new album, The Thrill of It All. Fans can find tickets starting at $31 for a standard seat and pay up to $121 to be close to the stage. But tickets are selling out fast, so it’s best to buy them ASAP. It’s time to dust off your superhero capes and polish your favorite beer jugs! 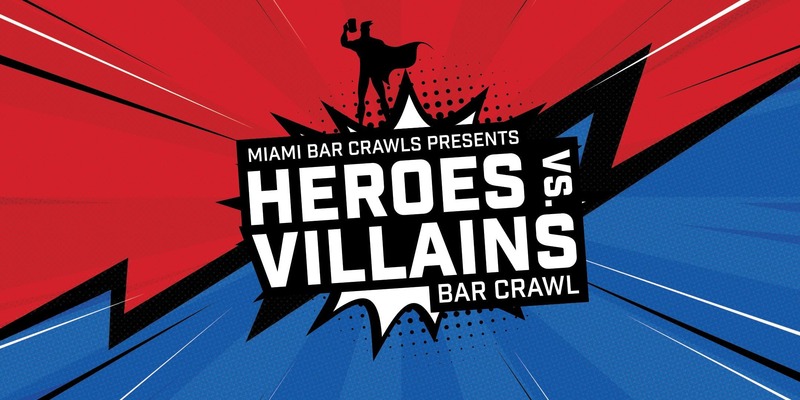 On Saturday, July 14th from 7 pm-12 am, SHOTS Miami will be featuring their first-ever Heroes vs. Villains Bar Crawl in Wynwood, Miami! Dress up as your favorite superhero or villain and drink your way through over five different pubs and bars in the Miami area, enjoying up to five free drinks at participating locations. Participants will also have the time to mingle with their favorite characters and even compete with them in a costume contest. Two winners (one hero and one villain) will receive $150 in cash prize each! General admission is $20 and $15 for a group of 4 or more. Do you have a love of exotic fruits? If so, you should visit Miami’s cherished Mango and Tropical Fruit Festival in Coral Gables, FL! This event will be going to take place on Saturday and Sunday, July 14th-15th, and will celebrate the authenticity of the Haitian mango and other delectable, summertime goods. Bring the whole family to participate in events like cooking demonstrations, mango-tasting, crafts, live music, and tons of fruit vendors! Tickets for adults are $25 and are discounted for seniors (65+) at $18 and kids (6-17) at $12. Any kids 5 and younger get in free. If you enjoy contemporary music and the cultural upbringing of Overtown, Miami, this event might be worth considering. 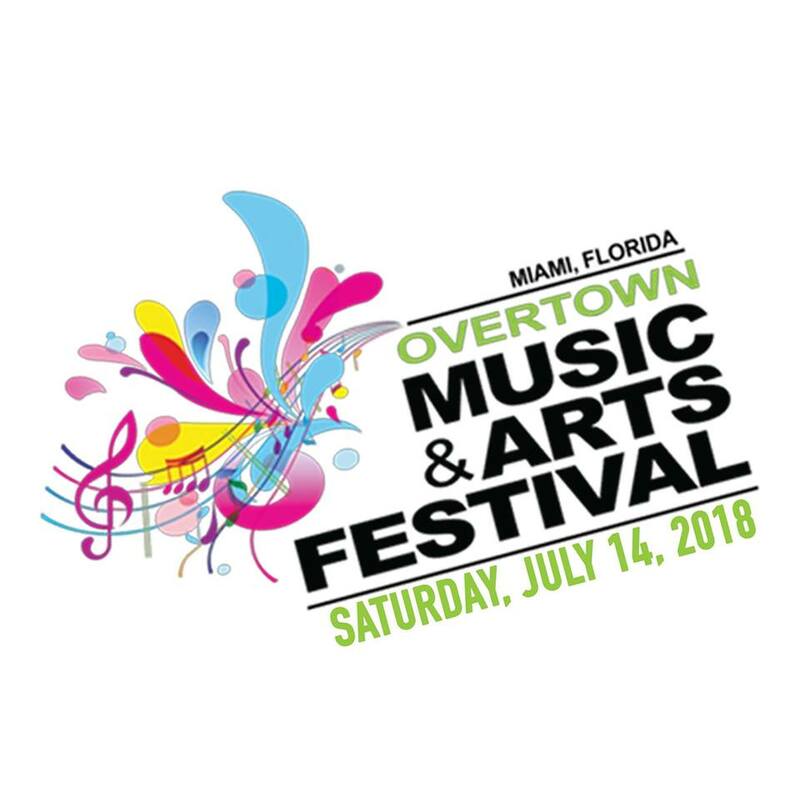 Overtown has developed as one of the biggest historic and business districts in South Florida, and they throw an annual celebration to honor it. Bring your family and friends to marvel at the scene as the locals feature live performances from rising stars and artists alike. Vendors will also be displaying their own artwork, ethnic cuisine, jewelry, and artistries for sale. Come on Saturday, July 14th from 11 am-7 pm if interested. This is a free event! 819 NW 2ND AVE, Miami FL, 33136. Like to save the environment and swim? Seven Swim is an eco-friendly bathing suit company that makes trendy bikinis out of sustainable materials. This Sunday, July 15th, from 10 a.m.- 2 p.m., their company will be featuring a pop-up shop at the One Hotel South Beach to display articles from their upcoming 2018 swim collection. Guests that stop by can also invest in any of the featured bathing suits starting at a discounted $10! Not to mention that patrons will also have the opportunity to win some special giveaways and discounts. It’s the perfect opportunity for any savvy shopper! Speaking of clothes, Planet Fashion will be participating in Miami Swim Week by featuring their Australian-originated swimwear brand-- LaHANASWIM-- in a runway show! Check out some vivacious and bold designs tailored by the brilliant minds who developed LaHANASWIM to be one of the leading bathing suit lines on the Gold Coast. The event will take place at the Loews Miami Beach Hotel on Saturday, July 14th from 9 p.m.-9:30 pm. Unfortunately, it is also a private event that guests must RSVP to, but it also has the potential to create some hype for those not invited. For guests not invited to the LaHANASWIM runway show, there’s another way for you to celebrate in the bathing suit festivities. Miami Swim Week will be on its third day on Saturday, July 14th, and is featuring their own convention of the sorts. Come to the Faena Forum and participate in swimming-enthused events like runway shows, art exhibits, demonstrations, and surprise performances. Participants will also receive some complimentary goodies of their own when attending the event. General admission starts at $50 and can go as high as $3,300 for an Ultimate, All-Access Pass for the whole week. If you like to party on a Friday night, this is one event you don’t want to miss. Grown Folks Takeover Promotion is hosting their own yacht party on Friday, July 13th at 10 pm that will end on Saturday, July 14th at 4 am. Get together with your friends as you sail from Bayfront Park Station on the South Beach Lady Yacht. Mingle with other passengers and participate in some activities like old-fashioned karaoke and live entertainment. There will be two dance floors playing Old School, Hip-Hop, and R&B from the past five decades throughout the trip. Tickets start at $60 and are only sold to guests 25 & up. 301 Biscayne Boulevard, Miami FL, 33131. Another yacht party leaving from Biscayne Boulevard on Friday, July 13th is this radiant, 50-ft. Boat, but this one is recommended for those with a fancier taste in sailing. 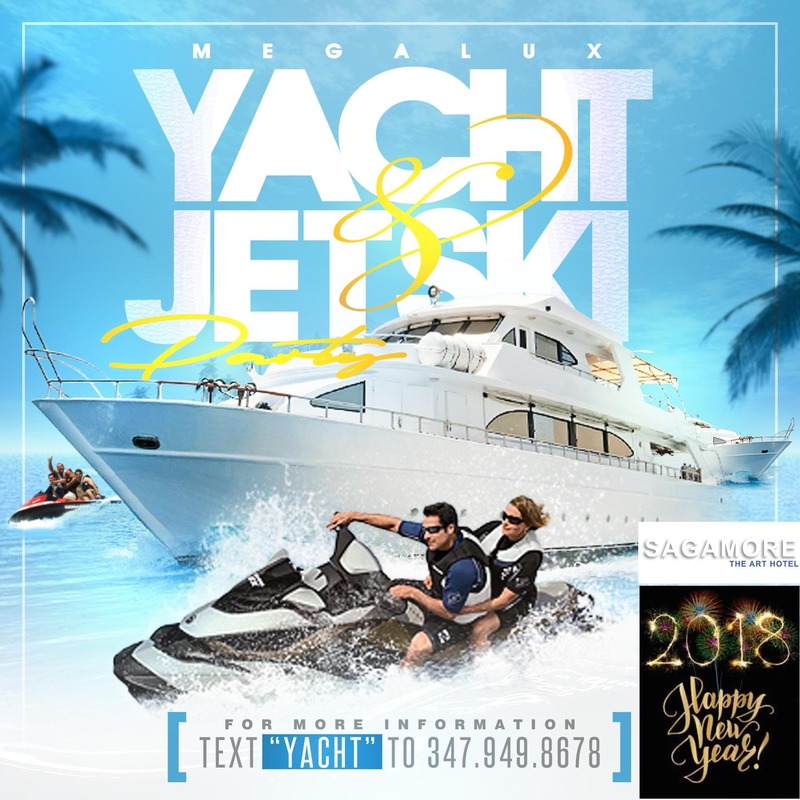 Enjoy this 4-hour cruise that gives you full access to an open bar, full course meal specially prepared, jet-ski rentals, and Bluetooth-equipped entertainment for all guests on board. In addition, if guests are celebrating a special occasion-- like a birthday or bachelorette party-- the crew on board can offer special additions like Cuban cigars and cakes. If sailing the high seas in high style is more your speed, reserve tickets for either their lunch (11am-4pm) or dinner (12pm-5pm) cruise. Tickets are $200 per person. 3101 Collins, Miami Beach FL, 33139. Interested in immersive, home-improvement concepts? Let Ironside Concepts help you! 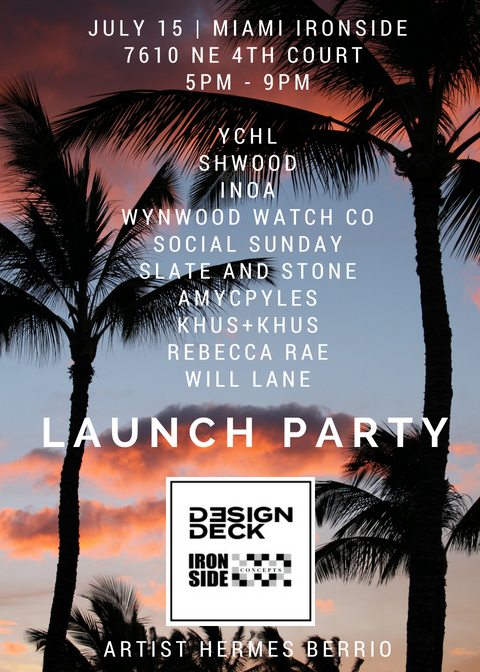 This shopping opportunity hosted by CEMA Creative and the Design Deck @ Ironside Concepts will display commodities from Wynwood Swiss, Slate and Stone, and Inoa Fashions just to name a few. Each deck design on display will also be available for guests to buy if they find something that tickles their fancy. This event will take place on Sunday, July 15th from 5pm-9pm at the Miami Ironside. Come take a gander at what you can do with your deck! 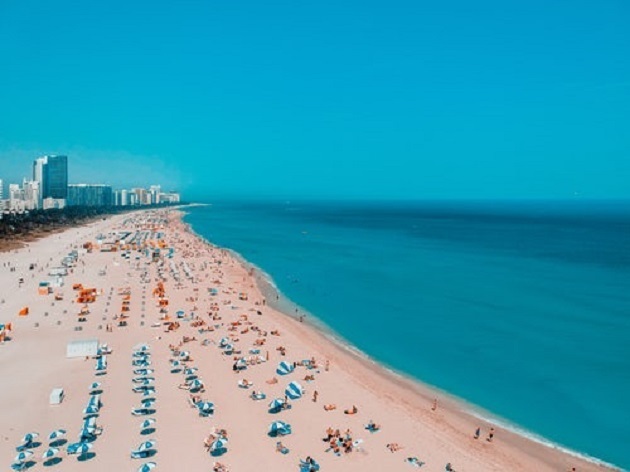 Find more things to do in Miami by registering on the 305area, your free guide to everything in the Miami area.